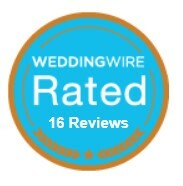 I came across a wonderful article on In Style Weddings. 6 Chic Decor Ideas (or 6 Ways to Save). Fabulous ideas that I couldn’t pass up on informing my readers. Enjoy! You’ve just discovered the centerpiece of your dreams is prohibitively expensive. No matter. Think about the color, height and texture you’d like and ask your florist to suggest another option. French tulips may be your first choice, but gladioli would give you a similar look for half the price, says Jung Lee of Fete, an N.Y.C. planning service. And remember, you can get away with fewer stems if you display them dramatically. Rent tall containers, fill them with water, and submerge a few French tulips, cymbidium orchids or amaryllis, or a branch of berries inside, says Bill Heffernan of Chicago’s Flowers by Heffernan Morgan. Whether it’s something as straightforward as the season, a theme gives your wedding a cohesive look while limiting your choices—both of which can end up saving you money, says N.Y.C. planner Marcy Blum. A theme also provides a springboard for finding alternatives to expensive big-day items. For example, a full bar can tack zeros onto your total bill. Instead, try serving only a few cocktails, along with wine and soft drinks. For a wedding with a vintage feel, old-fashioned but hip rum drinks, such as mojitos and Havana coolers, provide a sophisticated twist on the signature cocktail. On any budget a monochromatic color scheme can pull a room together, adding up to a result that depends less on individual elements than on the overall look. Few will notice, for instance, if the pink flowers are carnations and chrysanthemums instead of more expensive roses or peonies, as long as the other similarly hued details work well together. “Using a beautiful pale pink tablecloth, napkins and flowers can look more powerful and substantial than having several colors,” says N.Y.C. planner Jennifer Brisman. During dinner have the staff set up a table with your favorite desserts, along with extra servings that guests can box and take home. “I’m partial to dessert buffets,” planner Marcy Blum says, “and people are just tickled by them.” For a few recent New York City weddings, Blum gathered goodies—including cookies, cupcakes, cream puffs and key lime tarts—from local bakeries the couples liked to frequent. To dress up and personalize the boxes, have stickers printed with your names and wedding date, and tie packages with ribbon. Send postcards that evoke the theme or locale of your wedding, instead of save-the-date cards, planner Yifat Oren says. If you’re getting married at a resort or historic inn, inquire whether there are postcards of the site that you could buy or have for free. (Blank vintage cards, available online and at flea markets, make especially charming choices but cost a bit more.) Either handwrite the essentials on the back or use a laser printer. Just before Andrew and Ivana became man and wife, the ushers handed out lyrics to Bon Jovi’s “Livin’ On a Prayer” and the entire congregation serenaded the couple as they departed the church. The bride wore a stunning ivory Reem Acra silk A-line gown with a low-cut back and lace-illusion antique gold embroidery on the bodice. While Andrew showed off his custom-made suit by Tom James. Her bouquet was created by florist Mindy Rice of Mindy Rice Floral Designs, which consisted of delicate lily of the valley, garden rose, peony, ranunculus, hydrangea and gardenias. A stunning grouping of flowers if I’ve ever seen. During the reception they served their family’s Sauvignon Blanc. 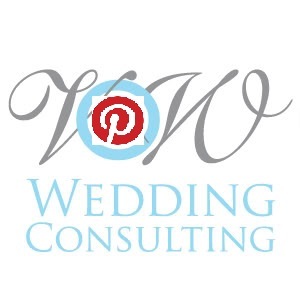 Tonya Szele of Soigne Productions was their wedding planner and she created a fabulous warm event. She turned the Pole Barn into an elegant indoor/outdoor ballroom. The tables were adorned in ivory satin linens… and five chandeliers were suspended above the head table using drop chains wrapped with Tiffany-blue fabric. The guest tables were decorated with alternating tall and short vases overflowing with white hydrangeas. The perimeter was covered in ivory chiffon fabric, which opened up on one side revealing an outdoor dance beneath a 100-year-old oak tree. The L.A. All Stars performed David Grey’s “This Year’s Love,” to celebrate the couples first dance as husband & wife. It looked like a lovely event. So cute…so unique…and can be useful. Here are a few of my favorite favors…ones that I particularly wouldn’t mind getting…Check out Estilo Weddings top sellers with prices as low as $.99! Paper lanterns are a stylish item to add to any event. Bring some glow into a room or add them to a table to make a striking centerpiece. Estilo Weddings has vibrant lanterns in plain colors or with patterns. These lanterns can become a wonderful alternative to floral centerpieces. Want to give your girls a gift that they’ll wear again even after the big event? Jennifer Fisher creates fashion forward charm necklaces that your bridesmaids will absolutely love. Customize the chain you want and the charms for a real personalized approach to your gift. VOW Weddings exclusive makeup artist Michelle of Wedding Makeup by Michelle was kind enough to share some of her professional makeup expertise with us. So we wanted to post this wonderful article she wrote. What bride doesn’t want to be simply gorgeous on her wedding day?! With all the effort going into one of the most special days of your life, one of the most crucial details, after the gown itself, is the bride’s makeup and hair. So many ideas, where to begin?! First think about the basic elements of the wedding day. The season in which you will be getting married (hot, humid summer or crisp winter) and the time of day of the reception (morning or evening) and last but not least, the style of your gown. Are you wearing a full ball gown with crystal embellishments, or sleek and simply classic? How will you be wearing your hair? Swept up do or long and cascading? I think the best bet is to strike a balance between head and body. A full gown/ evening wedding needs a bit more detail and glamour with makeup. Try a false lash to add sexiness and focus to the eyes. An extra drop of blush or gloss will make you glow in the pictures! Don’t be afraid to go a bit more than your everyday look. This is a special (expensive!) day, why not try something new? Try the makeup and hair looks, in the season of which you are getting married. If its summer and your wedding during the winter, your skin tone and texture will change with the climate. No use trying to straighten your hair in the heat of the summer. Ideally 2 to 3 months before the wedding is best. You can reserve a trial date with a makeup artist and hairstylist before hand, some days are booked faster than others, you may want to start your search 6 months in advance. Don’t forget about skincare. 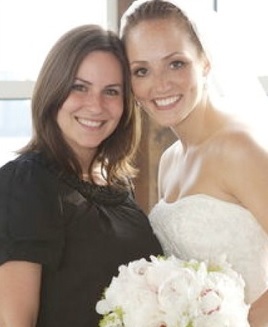 Even the most natural of brides can benefit from simple, inexpensive skincare products. Try getting in the good habit of using an eye-cream, moisturizer, and exfoliant. Exfoliation is the key to smooth, youthful and glowing skin. I am wild about the St. Ives apricot scrub, found in most drugstores, and a steal at under $5. Keep it in the shower to remind yourself to use it. Try switching to an AHA or equivalent acid based skincare cream at night, to renew and refine the skin. You will wake up to new, fresh, smoothed skin each day. No need to look or feel overly made up! Airbrush foundation, either professionally applied or store bought, in aerosol form, is one of the biggest break through in makeup today. It feels nearly weightless and doesn’t look cakey or mask like. 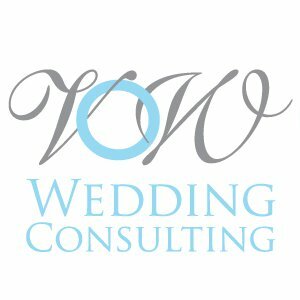 It lasts longer and requires little to no maintenance, one less thing to worry about on your wedding day, is a good thing! Don’t forget to switch to waterproof formulas for makeup lasting power. Even if you swear you are not going to get emotional, one look at a family member with tears in their eyes is all it takes to start a river! Most importantly, enjoy your special day; you worked so hard to make a beautiful one!